In theory, assigning a medical homeaccessible, continuous, comprehensive, family-centered, coordinated, compassionate and culturally effective healthcareto every individual should pay off in more effective, patient-centric care. In practice, however, establishing medical homes can be time-consuming and challenging, especially for those with chronic conditions and in high-disparity and underserved populations. Congress passed legislation in late 2006 that adds financial weight to the idea of the patient-centered medical home, which has its roots in pediatrics. By funding the Medicare Medical Home Demonstration as part of the Tax Relief and Health Care Act of 2006, Congress authorized the payment of a care coordination fee to participating physicians in eight states who manage patients with multiple chronic conditions. 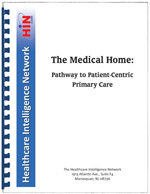 The Medical Home: Pathway to Patient-Centric Primary Care addresses the value and challenges of medical homes from the viewpoints of organizations already trying to establish medical homes for their populations. Covered in this 40-page special report are funding and implementation hurdles, successful methods for identifying members and redesigning office practices to move toward an advanced medical home model. 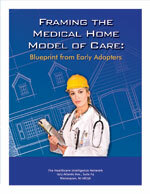 This report also summarizes the results of a 2006 HIN e-survey that identified opportunities for educating the healthcare industry on medical homes. More than half of survey respondents were either unfamiliar with medical home terminology or confused it with a physical structure. Reallocating resources to optimize program success. Dr. George Rust, senior consultant for APS Healthcare and interim director of the National Center for Primary Care at Morehouse School of Medicine.